On Sunday, Bloomberg reported that former Fox News commentator K.T. McFarland has been asked to step down as deputy national security advisor to the president, a job she worked for less than three month. Instead of sitting on the National Security Council, McFarland will reportedly accept a new post as U.S. ambassador to Singapore. Should she accept, McFarland will have to be confirmed by the Senate. 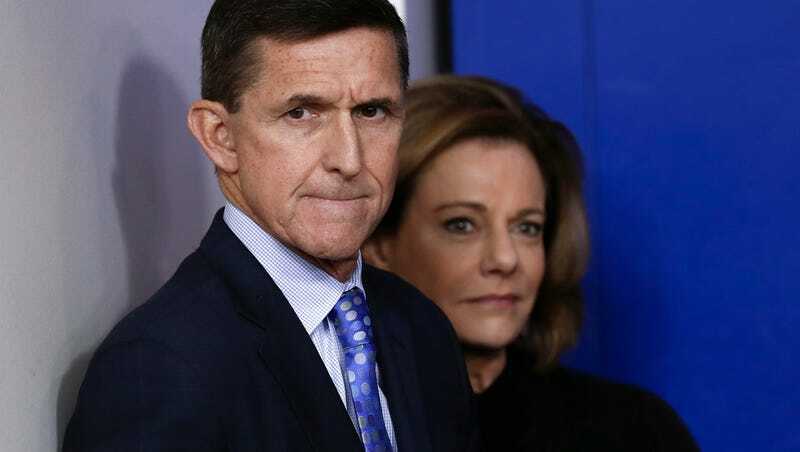 McFarland, who was hired by the former national security advisor Michael Flynn, was initially told she could keep her job when her old boss resigned this past February over allegations that he’d misled the Vice President with regards to his communications with Russian officials. H.R. McMaster, who was hired after the ousting of Flynn, organized a restructuring of the National Security Council last week that left zombie claw pileup Steve Bannon with a diminished role in forming the administration’s national security policy, while further empowering several intelligence and military Cabinet officials. According to the Washington Post, McFarland didn’t want to resign at first, but eventually yielded. A source close to the administration told NBC News that McMaster is “looking around widely,” within the administration and elsewhere, for McFarland’s replacement. In March, McMaster hired Dina Powell, who had previously worked as an advisor to Ivanka Tump, as the new deputy national security advisor for strategy.